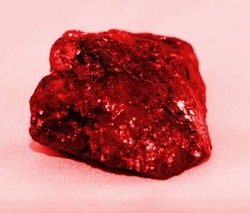 In 1139 a new, curious mineral was discovered in the stone quarries near Lake Atria. This ore was named Starstone because it glinted, when polished, and reflected the stars. After a method of smelting the ore was discovered in 1140 it was revealed to be very strong yet reasonably light when used in the right alloy. All this was done in great secret until more starstone was discovered in 1142 near Ëcrata on the Enterdese-Donerz border and the Donerz discovered that the Enterdese had invented a new strong alloy. The Enterdese kept the recipe a secret defending the forges of Ëcrata at the battle of Casnax (Kasnaks). The alloy was then used to make swords and armour which went to the elite Enterdese foot soldier forces, the Kherin, and the Royal Guard.